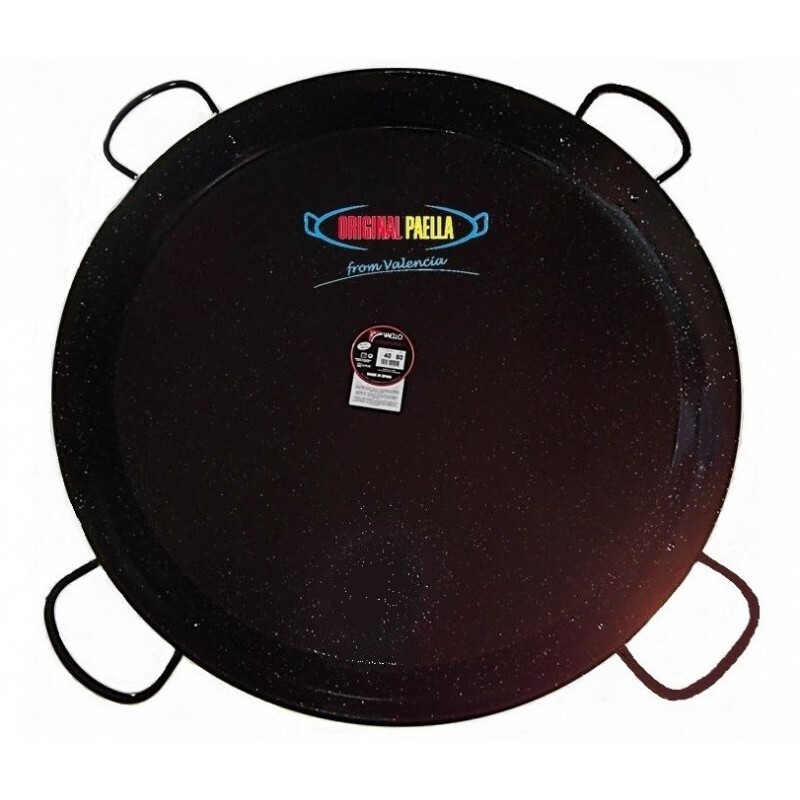 115 cm Enamelled steel paella pan or 115 cm enamel paella pan are made of steel, they're coated with a black and white speckled enamel, so rusting will not be an issue. 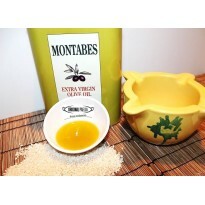 It is easy to clean and store and it won’t need oiling after use. 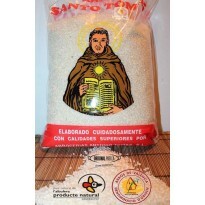 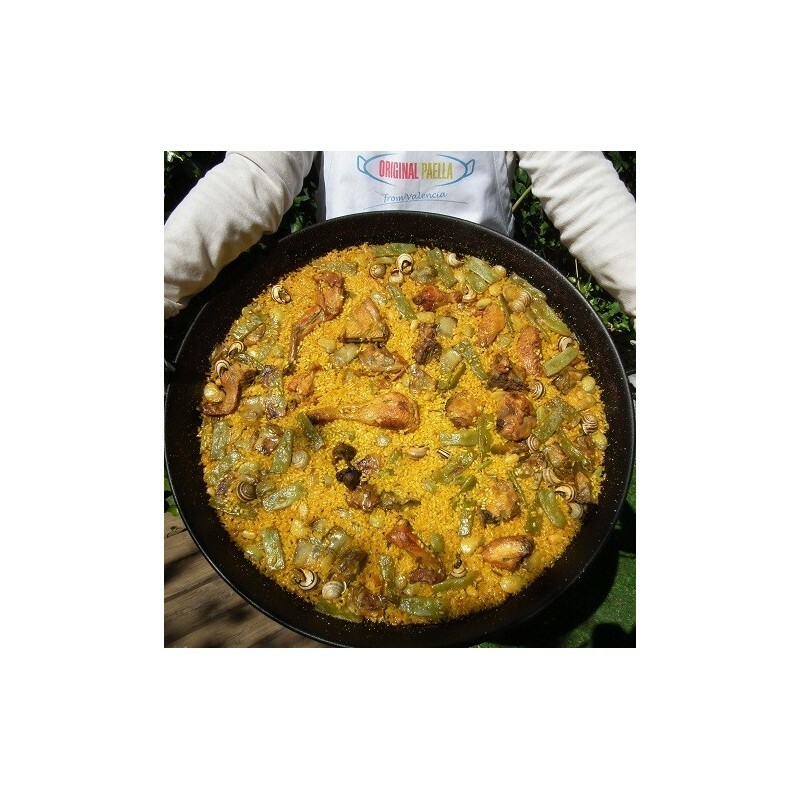 A 115 cm enamelled paella pan is large enough for 80-100 main course servings or for 120 people taster portions.